Information had been passed down through the family that Roland Price Meade was connected to Ontario. Roland P. Mead, b. 1837, d. 1879, "removed to Red River Settlement, B.N.A. and had a large family, but no information could be obtained." Benjamin F. Mead, b. Nov 1843, m. Ada Savory, "removed to Canada." 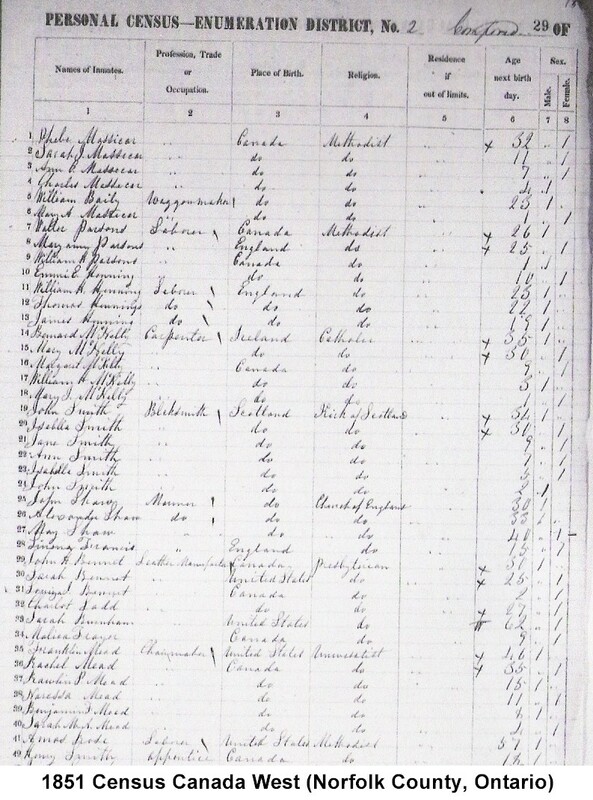 The following United States Census records also support that the above 1851 Census record is the family of Roland Price Mead. They indicate that his brother and sister moved back to the United States (New York), but both of their birthplaces are recorded to be "Canada". Benjamin F. Mead, Catlin, Chemung, New York, Age 56, Estimated birth: 1844, Birthplace: Canada, Spouse's Name: Adra O. 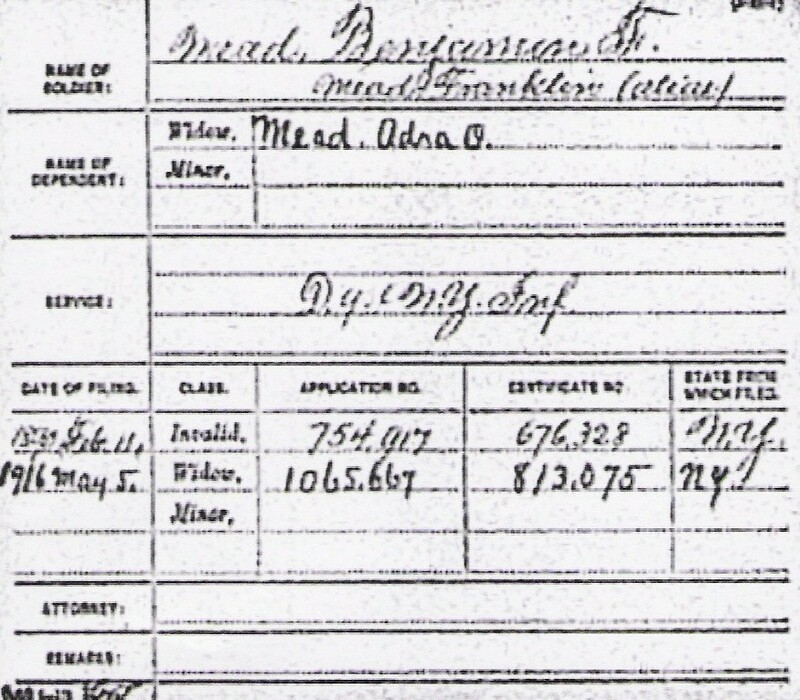 *Note: Benjamin Franklin Mead is also recorded as a Civil War Pensioner, General Index to Pension Files, 1861-1934. Census place Elmira, Chemung Co. NY. Phoebe N. Mead's husband was listed as Henry Bolt of Elmira, New York (Spencer P. Mead's 1901 book "History and Genealogy of the Mead Family: of Fairfield County, Connecticut, Eastern New York, Western Vermont and Western Pennsylvania, from A.D. 1180 to 1900") Phoebe was not listed in this census, she may have passed away.